The international journal Studia Psychologica is published by the Institute of Experimental Psychology, Centre of Social and Psychological Sciences, Slovak Academy of Sciences, Bratislava, Slovak Republic, since 1956. Studia Psychologica is open-access journal since 2016. This is an open access journal which means that all content is freely available without charge to the users or their institution. Users are allowed to read, download, copy, distribute, print, search, or link to the full texts of the articles, or use them for any other lawful purpose, without asking prior permission from the publisher or the author. This is in accordance with the BOAI definition of open access. The journal publishes original articles in the area of psychology with a focus on cognitive and emotional processes in personality, social and developmental context. The journal aims to bring together work on cognition and emotion undertaken by researchers in the area of the cognitive, social, personality and developmental psychology, psychophysiology, neuropsychology/neuroscience, etc. Types of articles: We publish empirical articles up to approximately 6000 words, including new empirical contributions, replications, and meta-analyses. Registered reports: We will review the Introduction and Method section of proposed studies (plus something like a power analysis, if relevant). If these are accepted, then we promise to publish the results. The idea is to encourage risky but important studies (including replications) by removing the fear that a negative or ambiguous result will not be publishable. A registered report is not the same as pre-registration. When submitting a registered report, please also include a separate explanation of why you are doing the study and why you want acceptance in advance. 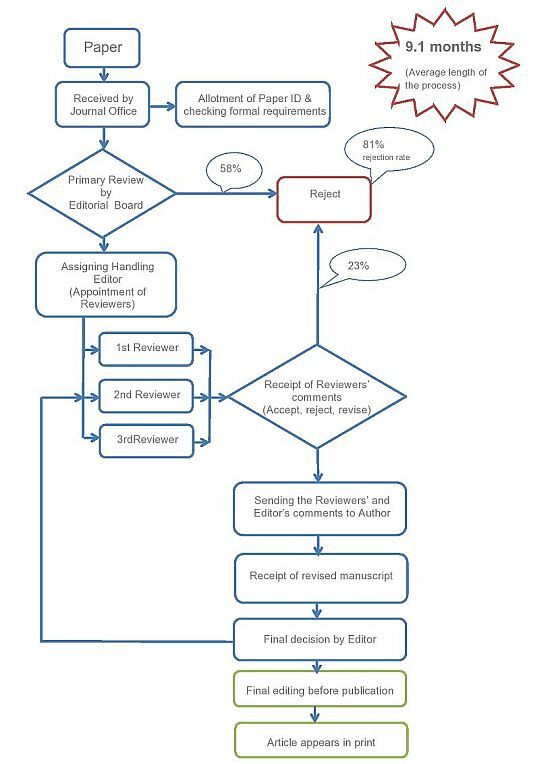 Following initial (pre-study) acceptance, authors are typically required by the action editor to register the approved protocol (e.g., on the Open Science Framework or other recognized repository), either publicly or under private embargo until submission of the full manuscript with results. The full manuscript will then also contain the URL of the approved protocol. We welcome articles that focus on the above-mentioned topics as they pertain to individuals, dyads, groups, and other social collectives. Empirical studies are preferred. Occasionally editors may invite well-known authors to contribute authoritative review articles and theoretical treatments on selected themes in the journal's areas of interest. Psychometric studies are also welcomed; however, they should expand our knowledge about validity and/or structure of the constructs being measured. Routine psychometric analyses of language-translated questionnaires in local languages without broader examination of validity and applicability of the measures will not be considered for publication in Studia Psychologica. The editors accept manuscripts that should be no longer than 20 double-spaced pages (ca. 6000 words). The article should not exceed the prescribed length, otherwise, it will be returned immediately to the author and will not be submitted into the editorial process. Studia Psychologica follows the standard for Ethics and Publication Malpractice set by the Committee on Publication Ethics (COPE). Editors, authors and reviewers are expected to conform to the Core practices, which reflect the current best principles of transparency and integrity of scholar records. The editors accept only contributions written in English. For editors and reviewers to accurately assess your manuscript, please, make sure the English language is of sufficient quality to be understood. We strongly recommend using professional language copy editors who will improve the English to ensure that your meaning is clear and the manuscript adheres to APA standards. Prepare manuscripts according to the Publication Manual of the American Psychological Association (6th edition). Review APA's Checklist for Manuscript Submission before submitting your article. For easy navigation, you can also check https://www.psychopen.eu/author_guidelines/. This journal uses double-blind review, which means that both the reviewer and author identities are concealed from the reviewers, and vice versa, throughout the review process. Double-space all copy. Other formatting instructions, as well as instructions on preparing tables, figures, references, metrics, and abstracts, appear in the Manual. Submission items include a cover letter, title page, blind manuscript (including a blind title page, abstract, manuscript text, references, and figure legends), tables, and figures. Revised manuscripts should also be accompanied by responses to reviewers' comments. Title page. In addition to an expressive title, the author (authors) should give their full names and affiliation with full address and e-mail. The title should be concise and informative. Titles are often used in information-retrieval systems. Avoid abbreviations and formulae where possible. Author names and affiliations: Where the family name may be ambiguous (e.g., a double name), please indicate this clearly. Present the authors' affiliation addresses (where the actual work was done) below the names. Indicate all affiliations with a lower-case superscript letter immediately after the author's name and in front of the appropriate address. Provide the full postal address of each affiliation, including the country name and, if available, the e-mail address of each author. Clearly indicate who will handle correspondence at all stages of refereeing and publication, also post-publication. Contact details must be kept up to date by the corresponding author. Manuscript. The manuscript file must include a blinded title page, containing only the manuscript title, abstract and keywords. Abstract and keywords: All manuscripts must include a concise and factual abstract and 3-5 keywords or brief phrases. The abstract must be a single paragraph that summarizes the main findings of the paper in fewer than 150 words. Abstract. An abstract should contain information about: (1) the purpose, possibly with some predictions, (2) info about participants, (3) main methods, (4) major results, (5) some sort of conclusion with implications and/or application. The abstract should be clear and concise, as it often is the only part of the paper people will read. Note that using active verbs is preferable to nominalization and passive voice. Introduction. Ensure that your introduction is clear from the beginning what the paper is going to be about. As Studia Psychologica focuses on cognitive and emotional processes, which is a relatively wide field, do not assume that every reader will be familiar with the technical details of your specific field. The paper should be interesting and readable for the wider public. In your review of relevant previous works, you should include seminal papers from the field, not only local papers of your colleagues, which are not accessible to an international audience (unpublished students´ theses, local conferences, etc.). In your introduction you should stress how the current report differs from the earlier reports and how hypotheses and research design relate to one another. Write the Introduction with focus on what is not known, do not just list all relevant research without any pointing to the knowledge gap or how your work fits in the picture. Methods. Description of a sample should include eligibility and exclusion criteria, major demographic characteristics, sampling procedures. You should comment on sample size, power, precision. Please note that Studia Psychologica encourages its authors to share their materials, research protocols, codes and raw data either with submission or through osf.io to promote practices of Open Science. Results. Results should be presented concisely and according to APA standards. Include confidence intervals or effect sizes, where appropriate. Distinguish between planned and post hoc analyses. Make sure that all titles of tables and graphs are informative enough and are comprehensible without referring to the text. You can upload your dataset along with the submission to allow reviewers to evaluate your work more thoroughly. Discussion. Discussion should contain (1) statement of support or non-support for all original hypotheses (distinguished by primary and secondary hypotheses & post hoc explanations); (2) similarities and differences between results and work of others, (3) interpretation of the results, taking into account limits of the study, (4) generalizability (external validity) of the findings; (5) discussion of implications for future research, program, or policy. Comment on any limits of your research design, but do not end your manuscript with the limitations. You want to conclude with strong take-away message. Abbreviations: Define abbreviations that are not standard in this field in a footnote. Such abbreviations that are unavoidable in the abstract must be defined at their first mention there, as well as in the footnote. Ensure consistency of abbreviations throughout the article. Acknowledgements: For reasons of assisting with double-blind review, collate acknowledgements in a separate section on the title page beneath the author information. List here those individuals who provided help during the research (e.g., providing language help, writing assistance or proof reading the article, etc.). Tables, figures, diagrams, photos, drawings - all in black & white - as well as possible footnotes should be on separate pages; text should mention their placement, numbering, and titling. They should follow the APA format (6th Edition). Citations in text and the reference list should conform to APA style (6th Edition). Each listed reference should be cited in the text, and each text citation should be listed in the References section. References in the list should be in alphabetical order. Text: Citations in the text should follow the referencing style used by the American Psychological Association. You are referred to the Publication Manual of the American Psychological Association, Sixth Edition. Details concerning this referencing style can also be found at http://humanities.byu.edu/linguistics/Henrichsen/APA/APA01.html. List: references should be arranged first alphabetically and then further sorted chronologically if necessary. More than one reference from the same author(s) in the same year must be identified by the letters "a", "b", "c", etc., placed after the year of publication. Journal titles should be written out in full rather than abbreviated. Please note style of capitalization and punctuation for journal articles, books, and edited books in the examples below. Reference to a book. Kahneman, D. (1973). Attention and effort. Englewood Cliffs, NJ: Prentice-Hall. Reference to a journal. Bandura, A. (2012). On the functional properties of perceived self-efficacy revisited. Journal of Management, 38(1), 9-44. Reference to a publication within a publication. McCrae, R. R., & Costa, P. T, Jr. (2008). The five-factor theory of personality. In O. P. John, R. W. Robins, & L. A. Pervin (Eds. ), Handbook of personality: Theory and research (3rd ed., pp. 159–181). New York: Guilford. We strongly encourage the submission of raw data (with a key to the meaning of variable names, if needed) and stimulus materials at the time of the initial submission and will often request these if they are not already submitted. Publications should, insofar as possible, include all key information necessary to understand (and replicate) the study and data analysis. Feel free to use footnotes, appendices, or supplements. We include the data of accepted articles with the articles (unless this is for some reason difficult). We also include stimuli, questionnaires, and code, when these are necessary to understand exactly what was done (again, unless this is difficult for some reason, such as questionnares with copyright restrictions). Our online submission system guides you stepwise through the process of entering your article details and uploading your files. The system converts your article files to a single PDF file used in the peer-review process. Editable files (e.g., Word, LaTeX) are required to typeset your article for final publication. All correspondence, including notification of the Editor's decision and requests for revision, is sent by e-mail. To submit a manuscript, proceed to http://www.editorialmanager.com/studpsych and follow the instruction for registration, log-in and submission. The submission and processing of the articles in Studia Psychologica is without any charges. Articles are published under the Creative Commons Attribution 4.0 Unported License (CC-BY 4.0). Under the CC-BY license, authors retain ownership of the copyright for their article, but authors grant others permission to use the content of publications in Studia Psychologica in whole or in part provided that the original work is properly cited. Users of Studia Psychologica contents are required to cite the original source, including the author's names, Studia Psychologica as the initial source of publication, year of publication, volume number and DOI (if available). Authors grant Studia Psychologica the right of first publication. Although authors remain the copyright owner, they grant the journal the irrevocable, nonexclusive rights to publish, reproduce, publicly distribute and display, and transmit their article or portions thereof in any manner. Authors of articles published in Studia Psychologica are entitled to deposit their articles (even in final, published form) in institutional and/or centrally organized repositories. They are also authorized to announce their studies at their personal websites or academic social networks or make them publicly available in another way, provided that the journal Studia Psychologica is attributed as the original place of publication and that correct citation details are given. The journal strongly encourages authors to deposit and announce the final, published version of the study instead of the accepted manuscript. This will guarantee that the definitive version is readily available to those accessing your article, and means that your article is more likely to be cited correctly. General aim for involving a reviewer in editorial process is to get a thoughtful, fair, constructive, and informative critique of the submitted work and help the editors to make an informed decision on manuscript. 1. Abstract: Please, make sure that abstract contains information about: (1) the purpose, possibly with some predictions, (2) info about participants, (3) main methods, (4) major results, (5) some sort of conclusion with implications and/or application. Using active verbs is preferable to nominalization and passive voice. 2. Introduction: Please, in your review comment on the following: (1) Introduction makes sense – it is clear from the beginning what the paper is going to be about. (2) Review of relevant previous works (international, not just local), how the current report differs from the earlier reports. (3) How hypotheses and research design relate to one another. (4) Introduction focuses on what is not known, not just listing all relevant research. 3. Methods: Description of a sample should include: eligibility and exclusion criteria, major demographic characteristics, sampling procedures. Authors should comment on sample size, power, precision. Please note that Studia Psychologica encourages its authors to share their materials, research protocols, codes and raw data either with submission or through osf.io to promote practices of Open Science. The Center for Open Science endorses the following statement for peer reviewers to request of authors the disclosure of data collection and analysis necessary to conduct their peer-review duties. "I request that the authors add a statement to the paper confirming whether, for all experiments, they have reported all measures, conditions, data exclusions, and how they determined their sample sizes. The authors should, of course, add any additional text to ensure the statement is accurate. This is the standard reviewer disclosure request endorsed by the Center for Open Science [see http://osf.io/hadz3]. I include it in every review." 4. Results: Please comment on usefulness of tables and figures, using correct statistical approaches, reporting confidence intervals and effect sizes, where appropriate, genral adherence to APA standards and Open Science practices. 5. Discussion: In your review you can note whether discussion contains (1) statement of support or nonsupport for all original hypotheses (distinguished by primary and secondary hypotheses & Post hoc explanations); (2) similarities and differences between results and work of others, (3) interpretation of the results, taking into account limits of the study, (4) generalizability (external validity) of the findings; (5) discussion of implications for future research, program, or policy. 6. Formal/general: If relevant, provide specific comments about: •	overarching aims of the manuscript and its key points •	the significance of the work and its relevance to journal scope •	the strengths and weaknesses of the manuscript •	the ways to enhance the quality of the paper, with attention paid to conceptual underpinnings, methodological sophistication, data analytic approach, interpretation of the findings, implications •	usefulness of tables and figures Please note overall clarity, lucidity, and coherence of the written presentation, appropriateness of the title, abstract, and length of the paper, adherence to APA standards of presentation, and general avoidance of vague language. At the end of the review, please state clearly whether the manuscript is fixable. If yes, please make sure, that you provided clear guidance and recommendations on the appropriate changes should be applied in the manuscript and advice your evaluation of a manuscript to the editor in review form on the scale (Accept, Minor Revisions, Major Revisions, Reject). Editors are very grateful to the reviewers for their effort and time spent on evaluating manuscripts for Studia Psychologica. Journal is able to fulfil its mission also thanks to Without the knowledge and experience of many researchers being who are specialists in the area of journal scope, journal could not fulfil its mission. We recommend registering at https://publons.com to have your reviewing work acknowledged. October 2015 – Studia Psychologica goes open-access. You can download all articles since 2004! Creativity comes in different forms and is manifested in different situations. Creativity is important in problem solving research, but also for educators, psychometricians and organizational psychology. Issues of definitions, operationalisations and measurements must be addressed. The Editors are advising authors to submit only one paper per author. Articles of regular length should be 20 double-spaced pages (around 6000 words) including abstract, tables and references. Please refer to http://www.studiapsychologica.com/ for additional instructions. Please ensure you select this special issue from the relevant drop down menu on page 1 of the submission process. Call for papers: December 1, 2018. Deadline for submission: September 1, 2019. This study aims to examine how taboo content affects language learner psychology and language learning gains in a multi-modal learning environment by using facial expression analysis. 40 Muslim language learners were initially asked about their opinions on pork and watched a subtitled cooking video including pork visuals and their facial expressions were recorded. Before watching the video, only 20 of them were told it was lamb. The video was followed by a stimulated recall procedure, a cloze test and an output test. The results of the facial data analysis showed that Muslim learners were disgusted by the taboo content, which was in line with their opinions on pork taboo. However, this negative emotion did not significantly affect their test performance. Computer assisted facial expression analysis was also introduced as a biometric research technique for second language research. The present study examines the reliability and validity of the Turkish version of the Lifespan Sibling Relationship Scale (LSRS; Riggio, 2000). A total of 578 (336 female, 242 male) Turkish emerging adults participated in this study. A Confirmatory Factor Analysis (CFA) was used to test construct validity for the original six-factor model of the scale with 48 items. Results of the CFA indicated a good model fit. Furthermore, the second-order CFA result showed that the scale can be scored for both the subdimensions and the test as a whole. Multi-group CFA result revealed that the measured construct is invariant across the genders. The results suggested that the Turkish version of the LSRS had adequate internal consistency and construct validity, indicating that it can be reliably used to measure attitudes toward sibling relationship in emerging adulthood among a Turkish population. When people vest a position with moral conviction, that is, a sense that the position is grounded in fundamental right or wrong, good or bad, they tend to be particularly intolerant of those who disagree. Psychological states that mitigate or augment the effect of moral conviction on tolerance are lesser known. The present research investigated the immediate consequences of mindfulness and mindlessness (cognitive depletion) on the relationship between moral conviction and preferred social distance. Consistent with hypotheses, moral conviction did not predict preferred social distance in a mindfulness condition (mindfulness meditation), predicted greater preferred social distance in a mindlessness condition (cognitive depletion), and predicted marginally greater preferred social distance in a control condition (no manipulation). Findings suggest that adopting a mindful orientation toward people with different moral views may foster acceptance, while adopting a mindless orientation may foster greater intolerance. Proliferation of populist policies and strengthening of political populism in several liberal democracies has been accompanied by campaigns full of public anger, anxiety and fear. Our research contributes to understanding how negative emotions shape selected political attitudes. We designed an experiment with 72 participants randomly assigned to three groups. The aim was to impose anxiety by using a stimulus that is incidental, i.e. having unrelated content to the attitudes under study. In addition to self-reported emotional state measured by post-test survey, we also measured the heart rate activity. Regarding political attitudes, next to attitudes towards immigrants we measured attitudes towards marijuana decriminalization as well. Findings indicate that while imposed anxiety leads to more negative attitudes towards immigrants, there seems to be no such effect on attitudes towards marijuana. We explain the difference by presence/absence of the in-group/out-group division in the types of political attitudes under study. The aim of the current study is to evaluate the predictive influence of Big Five personality traits, self-esteem, and time spent online in discriminating among a sample of university students classified as normal, mildly, and moderately addicted Internet users. Self-report measures were administered to 207 Italian university students aged 19 to 41 years. Results indicated no severe Internet addiction among the participants, but only a mild and moderate risk. Correlation analysis revealed a significant negative association between Internet addiction score and self-esteem. The discriminant analysis indicated two main functions that allow discrimination in terms of the influence of personality traits, self-esteem, and time spent online in three groups of participants. These results may have valid implications in assessing students engaged in intensive online activities, indicating that tailored approaches to their problems are particularly important in preventing the risk of Internet addiction disorder. The objective of this research is to investigate the correlations between social emotional learning and critical thinking. The research involved 289 university students. Social emotional learning scale and Critical Thinking Disposition Scale were used. To determine the correlations between social emotional learning and critical thinking, correlation analysis and structural equation modeling were applied. According to the research findings, critical thinking and social emotional learning were found to correlate significantly positively. The findings indicated excellent fit (?2 = 782.15, df = 427, p = .00, RMSEA = 0.054, NNFI = .91, CFI = .92, IFI=. 92, SRMR = .063). According to the results, critical thinking was predicted positively by social emotional learning. One’s proper reaction to difficulties is seen as an important factor of parental abilities. This research study verifies whether parents of either “badly-behaved” or “well-behaved” children vary in their reactions to difficult parenting situations connected with their relationship with their child. The group of “badly-behaved” children had externalizing and internalizing problem behaviors. The “well-behaved” children’s group consisted of extraordinarily mature and properly behaved children according to their kindergarten teachers. The research sample consisted of 204 parents of “badly-behaved” and “well-behaved” children. The research was conducted in Poland. The DAiS scale was used to assess the level and type of parental directiveness, and the PAiNK scale was used to assess obedience enforcement and teaching the rules of proper behavior. Multiple regression, the Sobel test and partial correlation were used to identify mediation effects. The results show that the two groups differ in their reactions to difficulties: a) the parents of “well-behaved” children emphasize the teaching of rules, and this effect is stronger in older children, b) the parents of “badly-behaved” children use aggressive directiveness. This effect is stronger when the children approach school age. Research shows that school climate has an important effect on the prevalence of peer bullying. Therefore, the aims of our study were to determine: 1) if there are differences in the perceptions of bullying-related school climate by victims, bullies, non-victims and non-bullies, and 2) which sociodemographic and school climate factors predict the roles of chronic victims and bullies. The results suggest that there are more victims in younger students and more bullies among boys. We also found significant differences in perceptions of school climate by victims and bullies and were able to predict a small/moderate amount of variance in the roles of chronic victims/bullies by sociodemographic and school climate variables. Implications of the study findings are also discussed. 4DO MEN CONFORM MORE THAN WOMEN IN THE RECOGNITION AND LABELING OF EMOTIONS? DO MEN CONFORM MORE THAN WOMEN IN THE RECOGNITION AND LABELING OF EMOTIONS? The study focuses on differences between women and men in recognizing negative emotions from facial expressions and the conformity of women and men while labeling the emotions. Previous research has indicated that women conform more than men when the stimuli used are more comprehensible for men. This research seeks to establish whether this phenomenon can be observed when the stimuli are more comprehensible to women. In this study, 24 women and 25 men labeled the facial expressions of negative emotions, first in private and subsequently in a group with four confederates. In private, women were more successful than men in recognizing facial expressions. However, no differences were observed between women and men in respect to conformity while being in a group. The results show that the displaying of emotions is a gender specific stimulus that does not affect conformity. This study investigates the relationship between rational and experiential thinking styles, perceived stress and life satisfaction in university students. The research sample included 259 students (56.8% females, Mage = 21.57) of psychology and informatics. Lower stress and higher life satisfaction are predominantly related to the thinking style preferred by the given gender – the rational style in males and the experiential style in females. More positive results in stress and life satisfaction were observed in the groups scoring higher in both styles compared to those scoring lower in both thinking styles. The relationships between thinking style preferred by the given gender and life satisfaction are mediated by the perceived stress. The present results indicate the possibility of increasing life satisfaction through changing information processing modes. This study examined whether participants will show optimism about common events, yet show pessimism about rare events (regardless of their desirability), and whether there is a relationship between optimism and overconfidence, conceptualized (Shepperd et al., 2013) as unrealistic absolute optimism. 136 pedagogy students completed a questionnaire with 28 events (positive and negative, rare and common) together with two cognitive tasks and an estimation of their performance. The results support neither the unrealistic hypothesis nor the egocentrism hypothesis fully – the participants appeared to be somewhat pessimistic in estimating the likelihood of mainly positive events happening to them; they were quite optimistic in expecting to avoid negative events. Only a small overlap between the unrealistic comparative optimism and unrealistic absolute optimism (overconfidence) was found. These results support the necessity to distinguish between distinct types of optimism bias and highlight methodological problems connected mainly with estimates of unrealistic comparative optimism. You have signed up successfully. Thank you. Subscription failed. Please try again later or contact us.